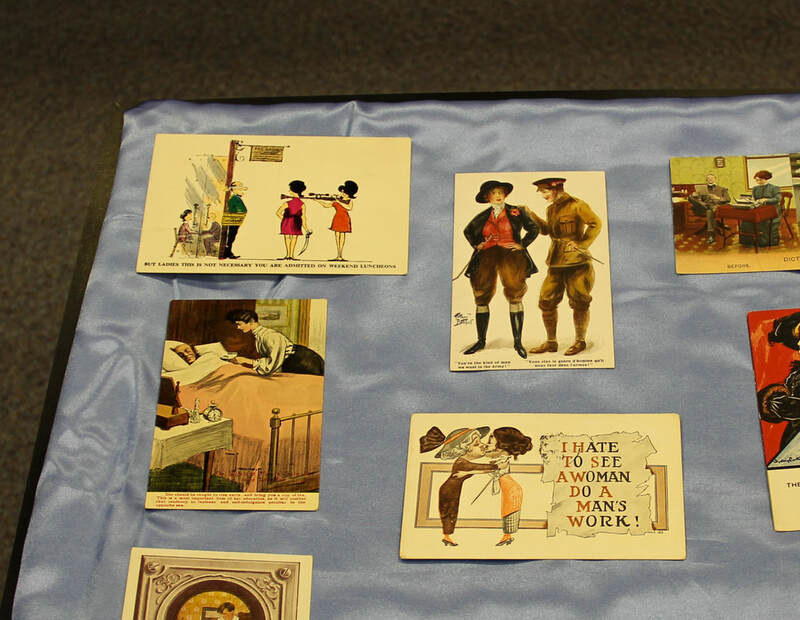 The materials on display included vintage postcards, suffragist ephemera, and books on women and their historical impact, from Queen Zenobia to Agatha Christie. Some featured books from the 17th and 18th centuries concern feminine morality and education, whereas other volumes explore 19th and 20th century women’s movements. Postcards. United States, England. Early 1900s.